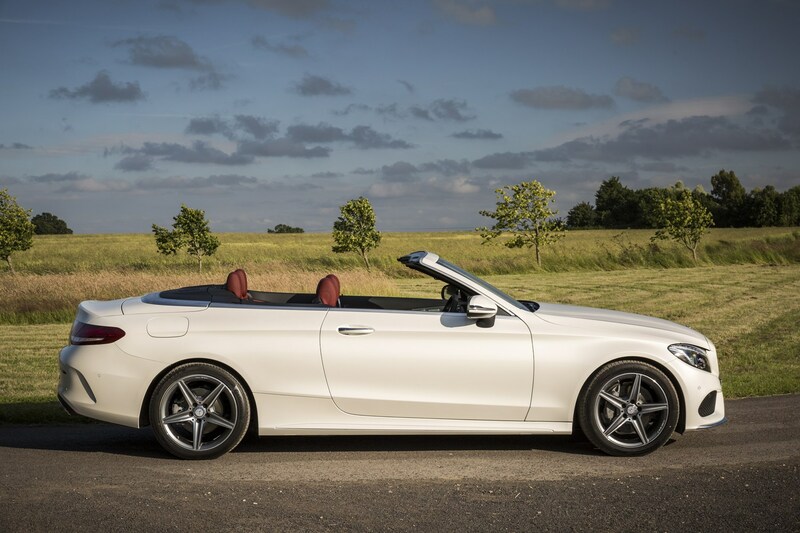 Insurance group: 33 - 50 How much is it to insure? 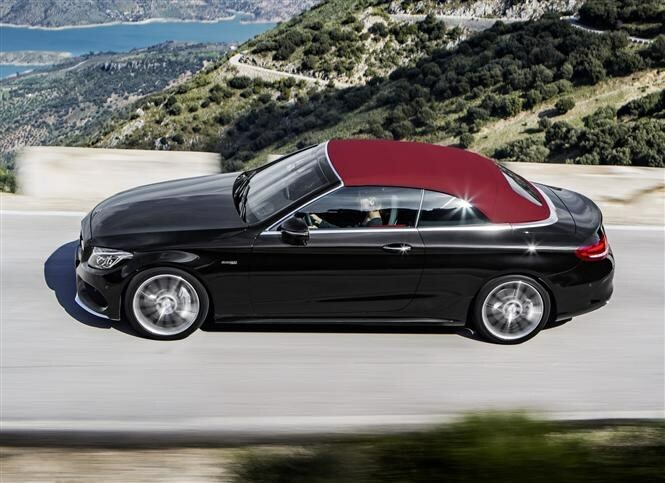 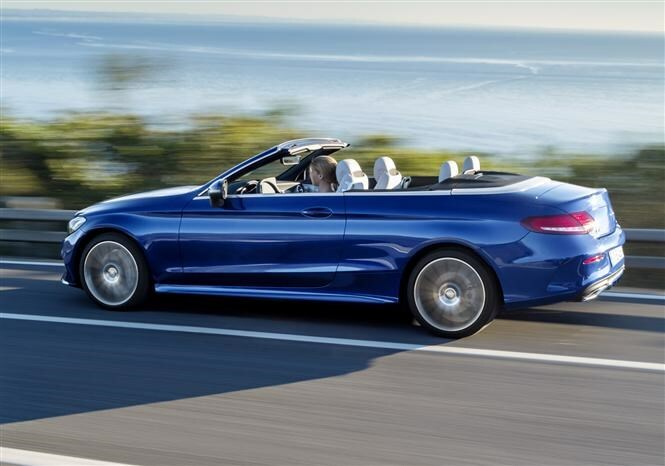 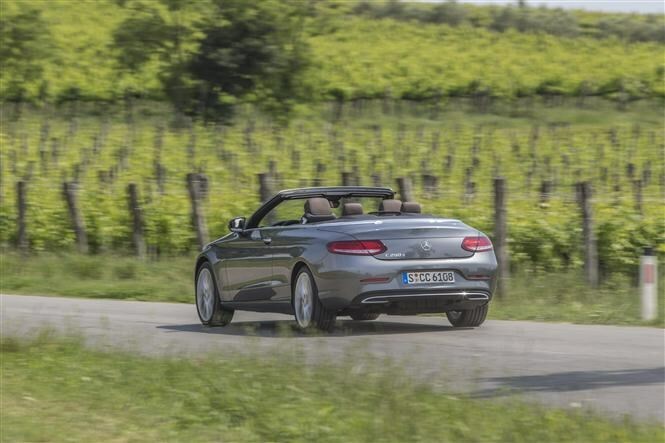 As such, it has few direct rivals but its primary two are the Audi A5 Cabriolet and the BMW 4 Series Convertible – the latter, unlike the C-Class Cabriolet, has a folding hard-top, rather than a fabric roof. 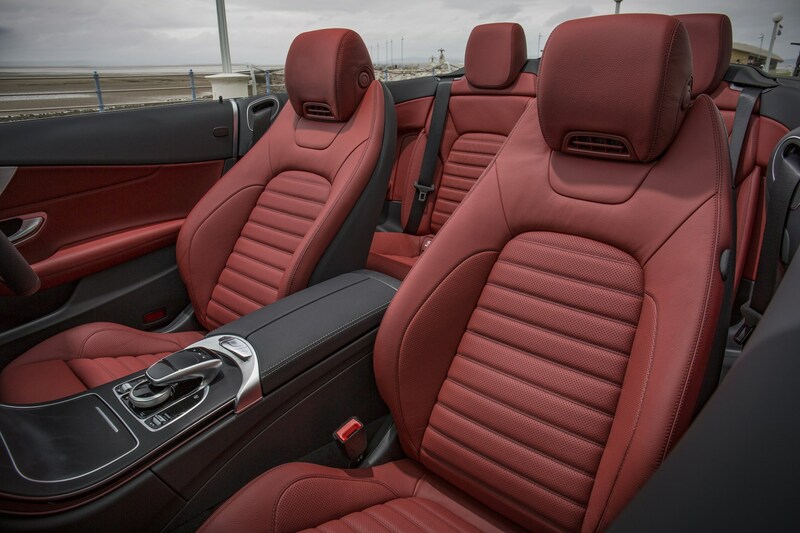 Some buyers may also consider the Range Rover Evoque Convertible, although not many in the UK judging from its scarcity on the roads. 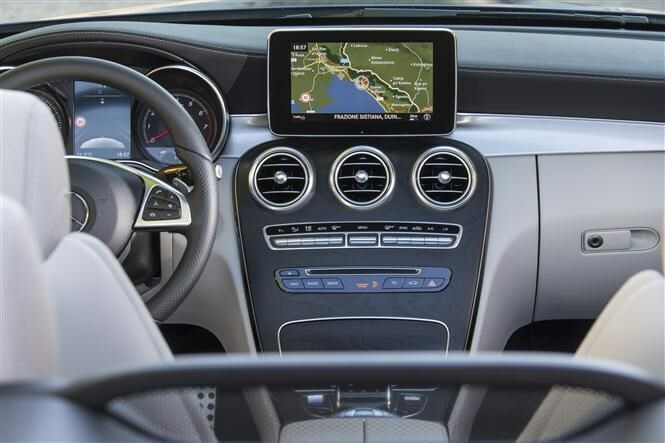 The 2018 facelift sees the appealing styling and interior receive the most minimal of makeovers, with new LED headlamps, reprofiles front and rear bumpers, and an all-new optional 12.3-inch digital instrument pack to complement its uprated widescreen infotainment screen. 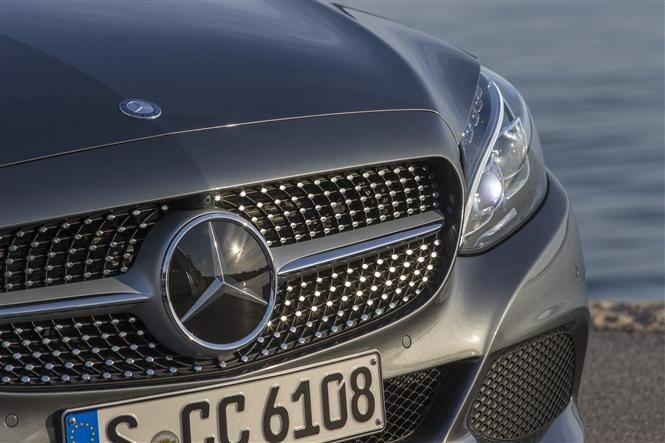 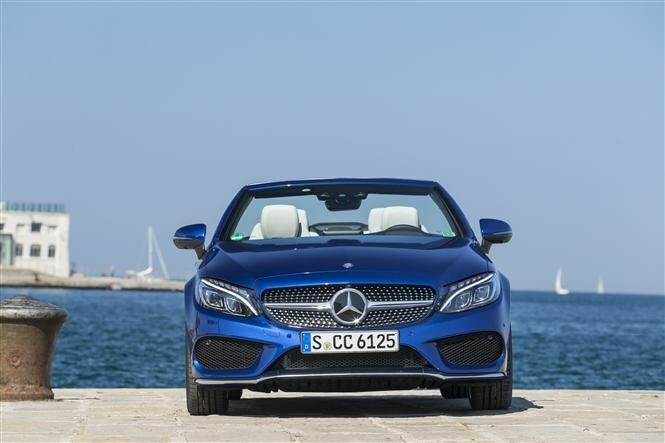 Styling-wise, the Cabriolet mirrors the Mercedes-Benz C-Class Coupe. So, its sleekness is preserved by virtue of the folding fabric soft-top, which concertinas more elegantly than the rival three-piece hard-top from BMW, robbing less boot space in the process. 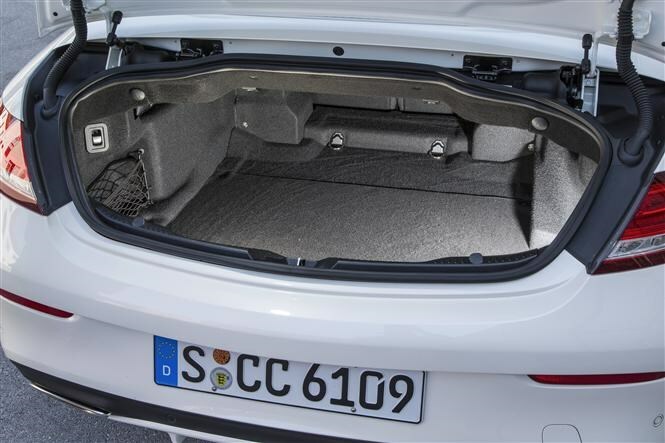 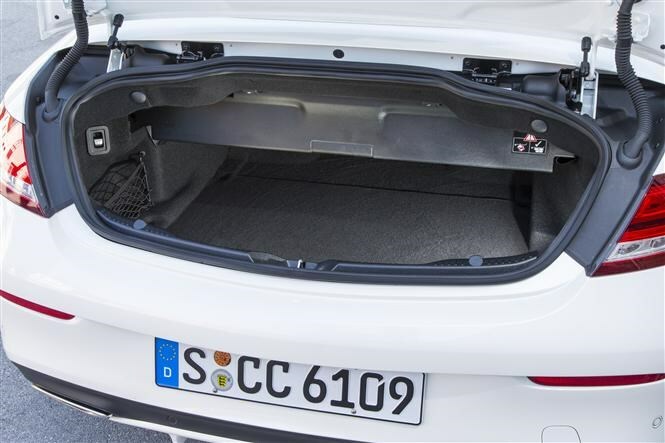 Not that you buy a four-seater convertible if practicality’s your chief requirement, but with the roof raised there is up to 360 litres of boot capacity, shrinking to 285 litres when the soft top’s stowed away into the well behind the back seats. 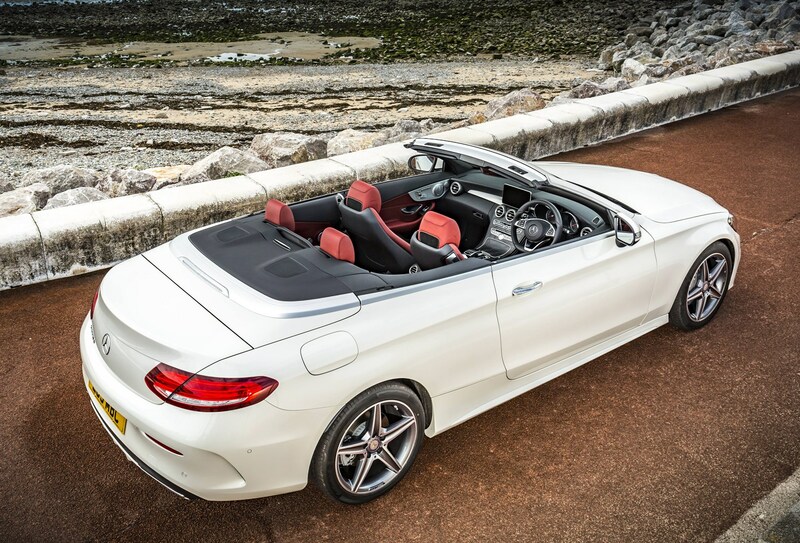 While the cabin essentially apes the other C-Classes, the two seats in the rear are best suited to children. 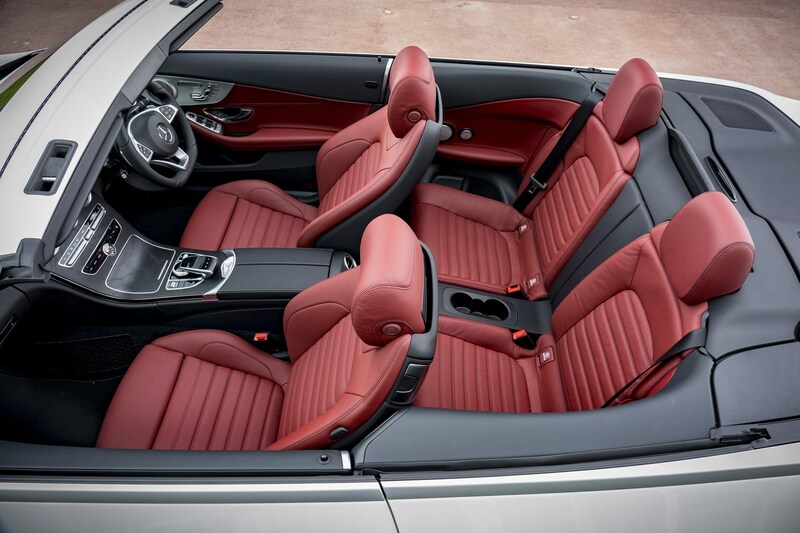 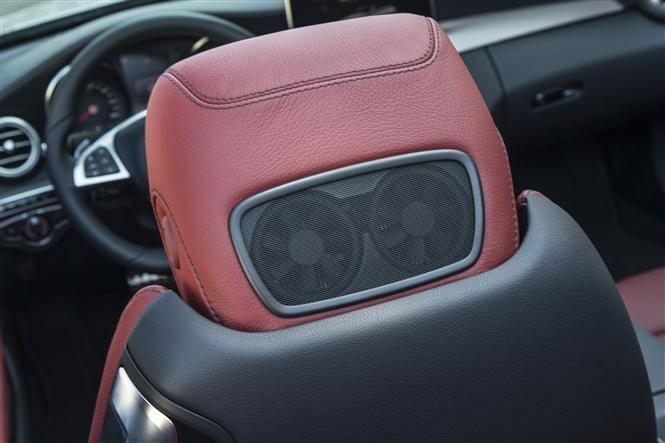 They feel firm, with upright backrests – while head and elbow room are fine for adults, headroom – roof up – is at a premium. 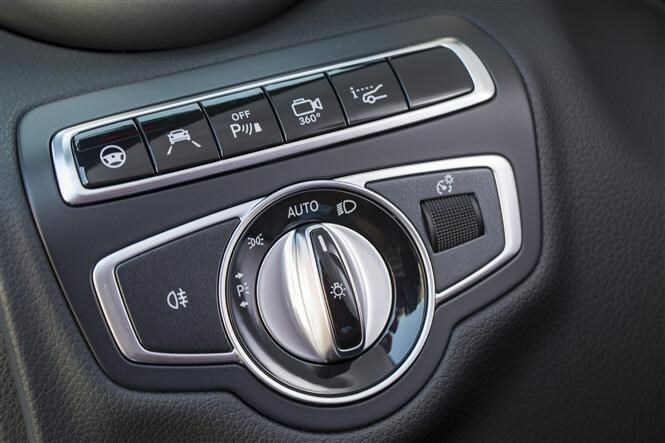 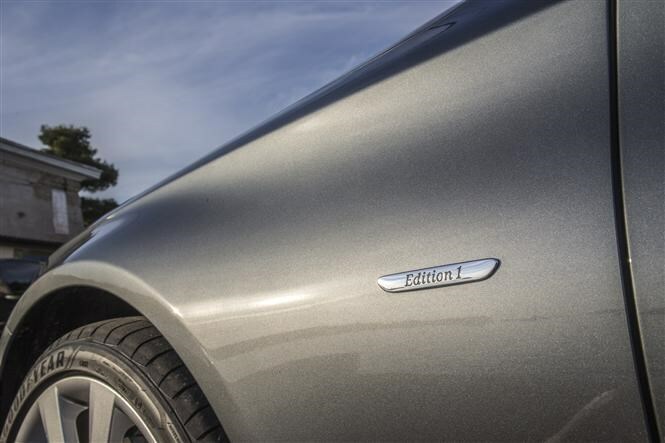 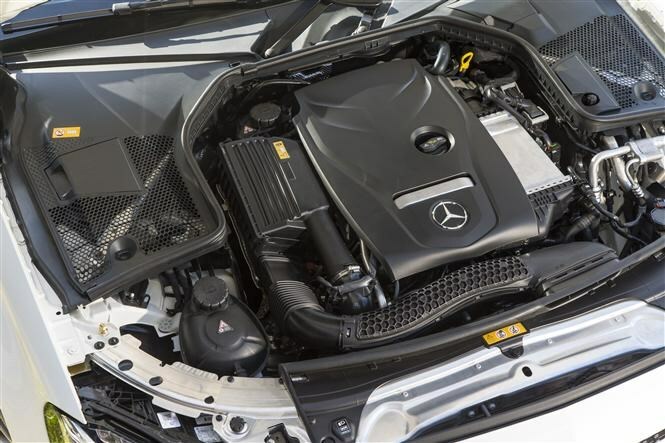 Following the 2018 facelift, there's been an adjustment to the model's engine range. 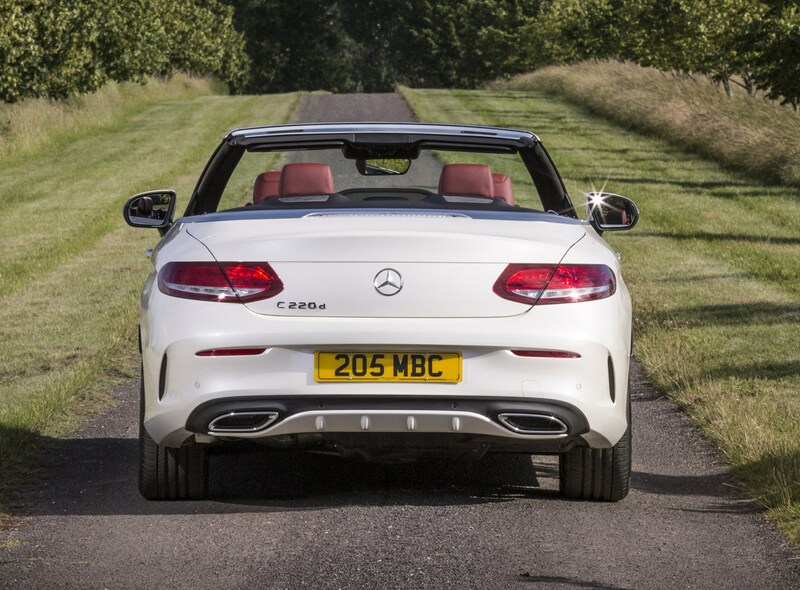 So, there’s a wide range of powerplants although the UK market doesn’t receive all of them. 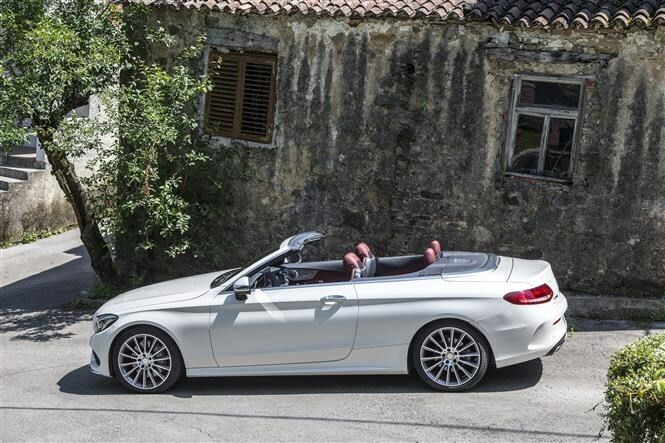 The main difference between the Cabrio and Saloon is that the entry-level C 200 d is not available. 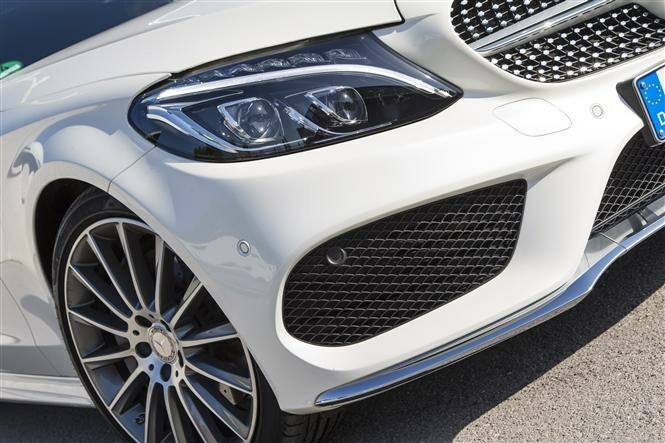 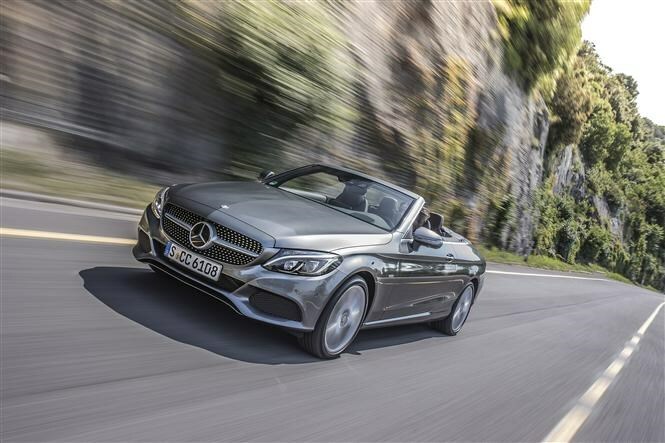 In essence, the line-up mirrors the Coupe, which means you can two petrols (C 200 and C 300), one diesel (C 220 d) and a line-up of AMG performance models, which from launch comprise of the C 43 AMG 4Matic, and will be joined later in 2018 by the impressive C 63 AMG. 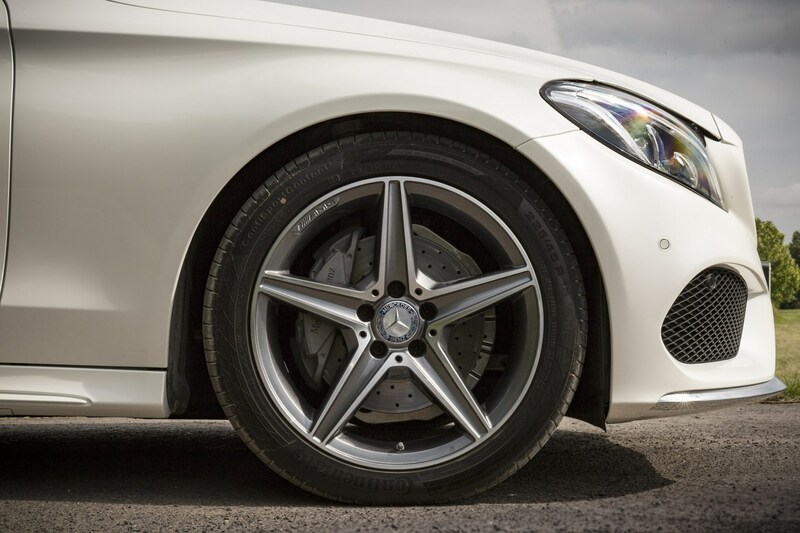 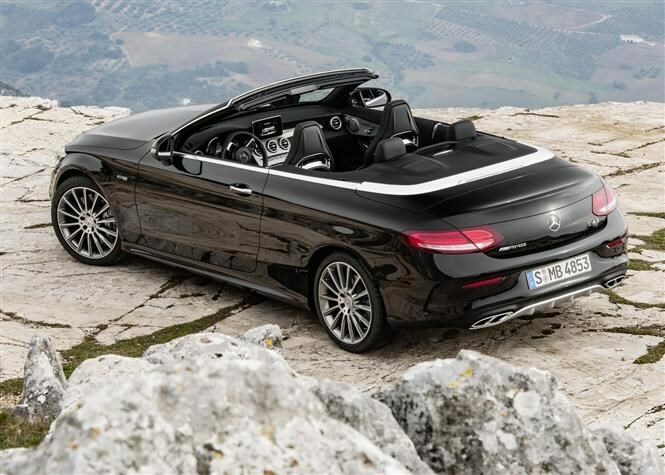 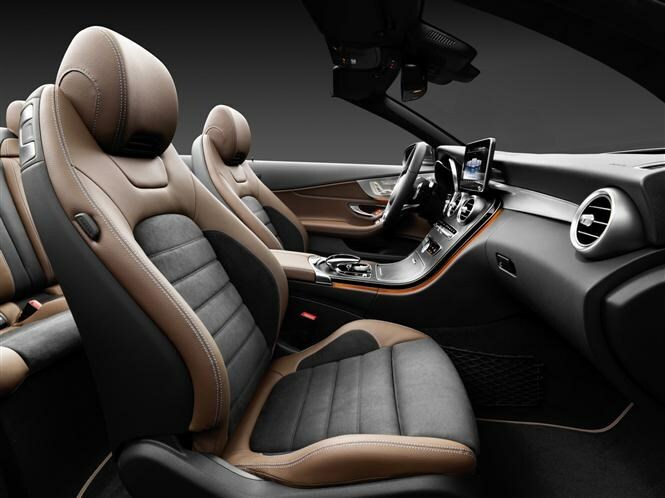 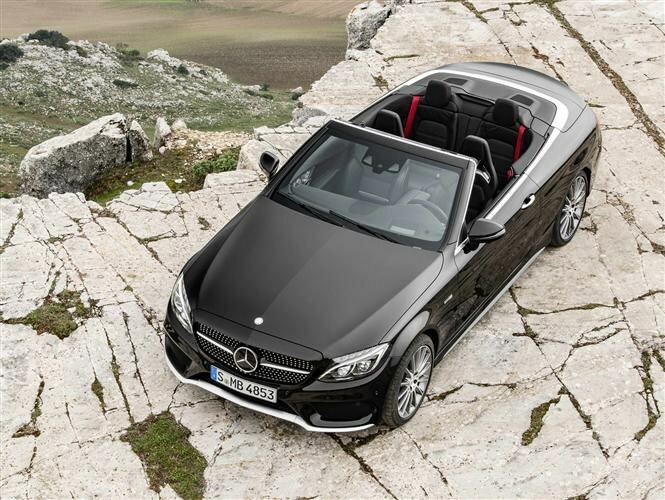 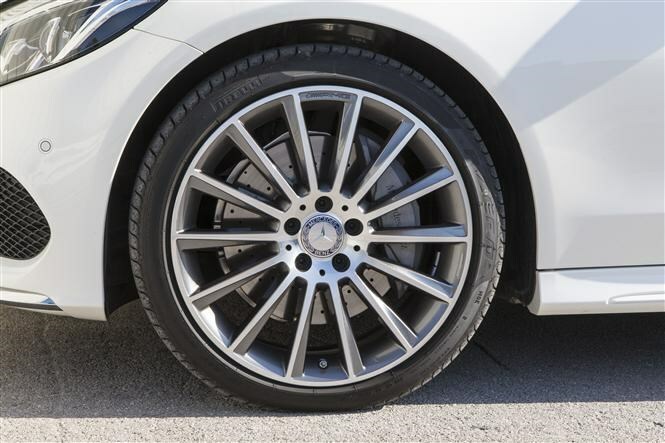 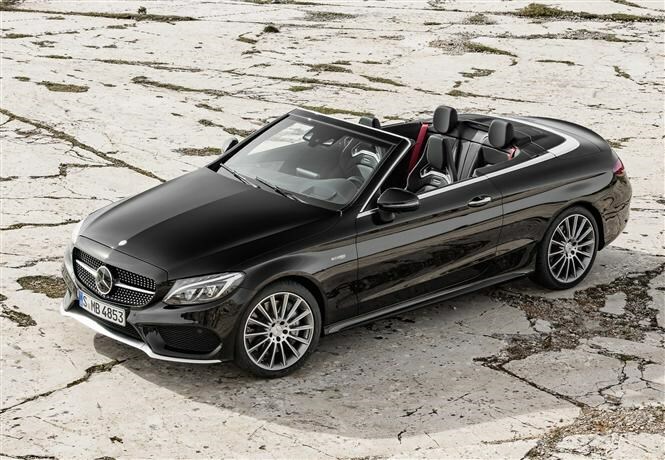 For real performance, you have to look at the Mercedes-AMG C-Class Cabriolets. 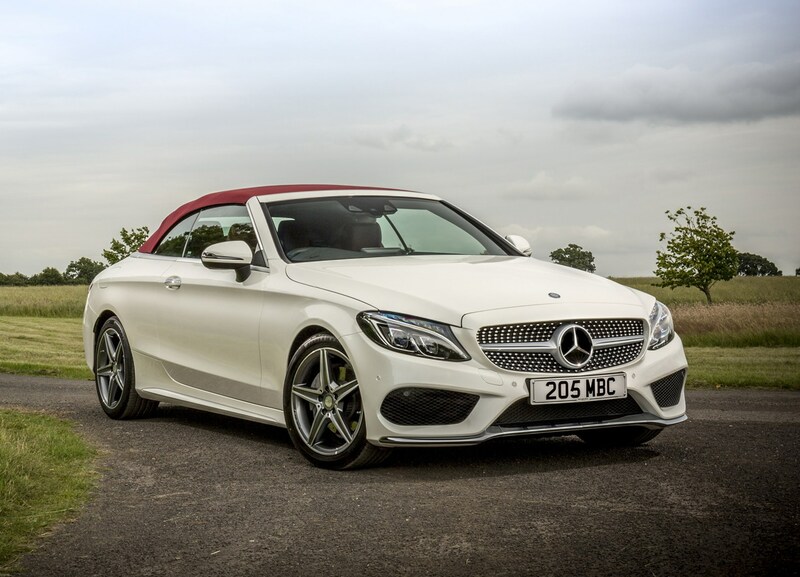 As a halfway house there’s the C 43 4Matic, with a 390hp 3.0-litre V6 petrol, but for the ultimate performance the C 63 and C 63 S Cabriolets, which as due for UK launch late in 2018. 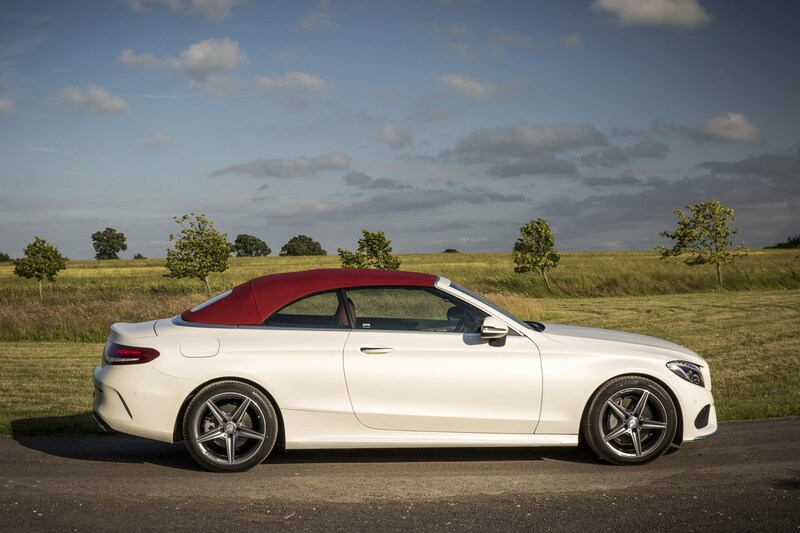 One downside to convertible driving isn’t so much wind-in-your-hair, it’s wind-trying-to-blow-your-hair-off. 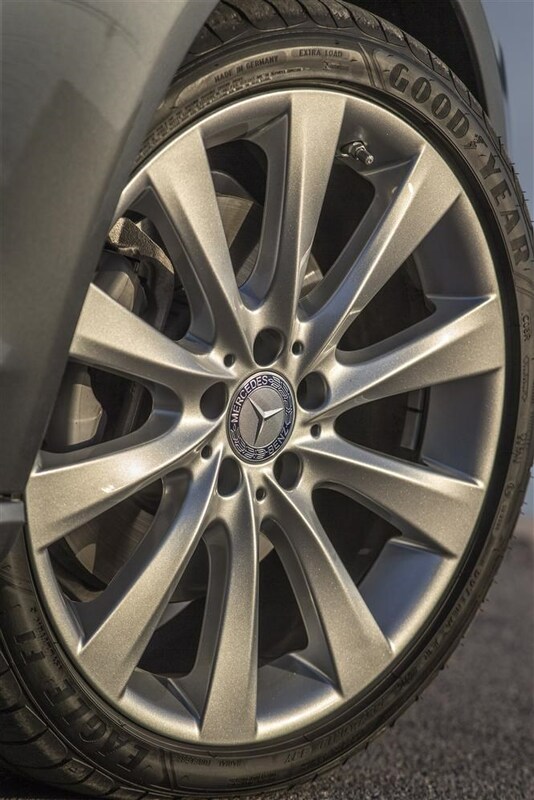 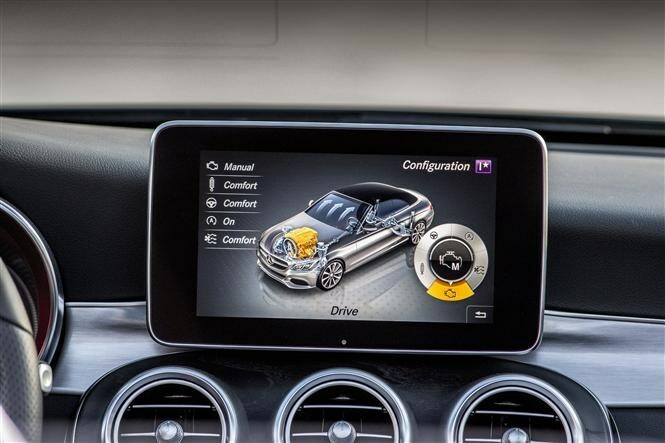 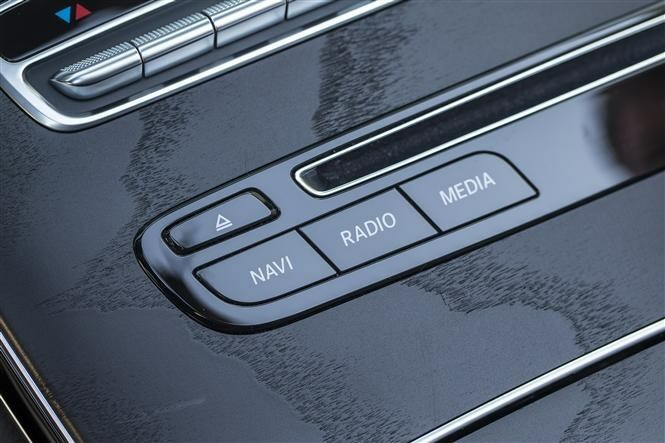 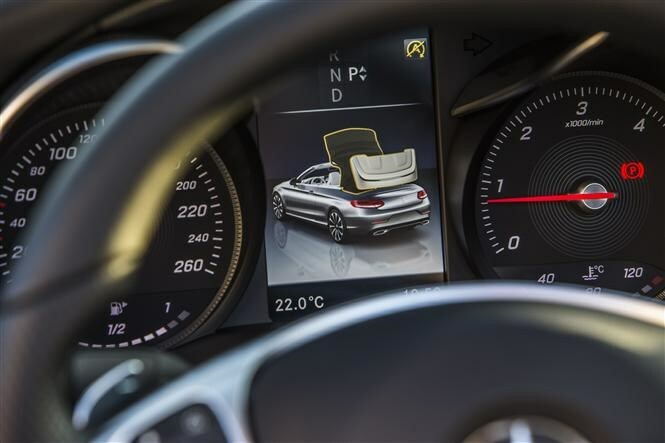 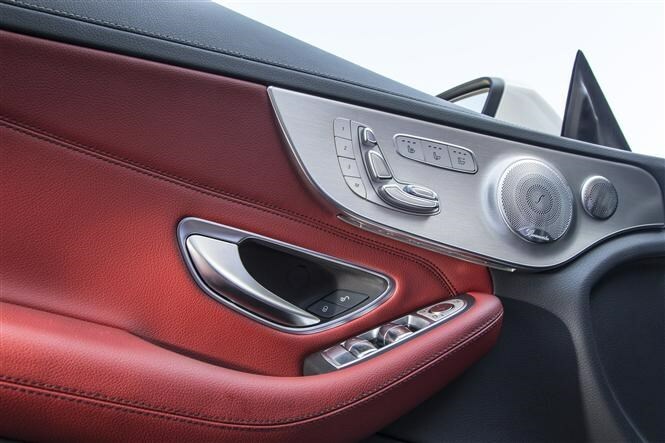 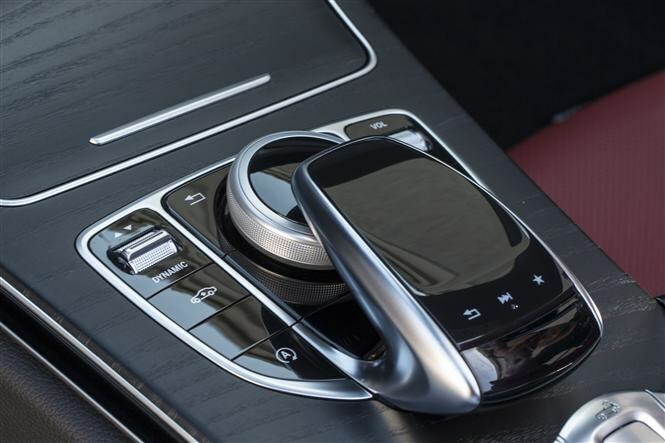 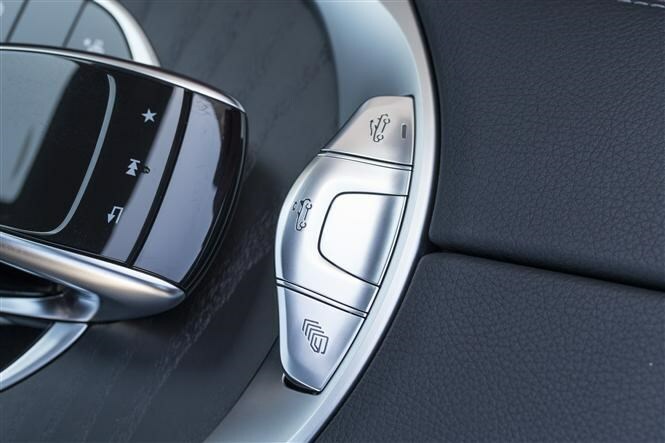 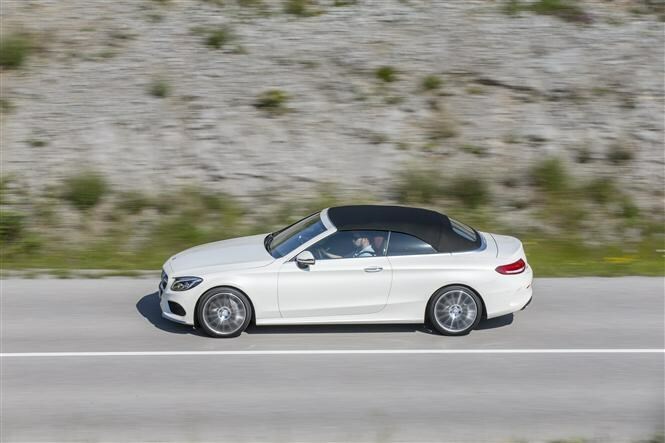 Back in 2010 when the current E-Class Cabriolet was revealed it featured a novel concept called Aircap to reduce the blusteriness, which also makes an appearance on the C-Class Cabriolet. 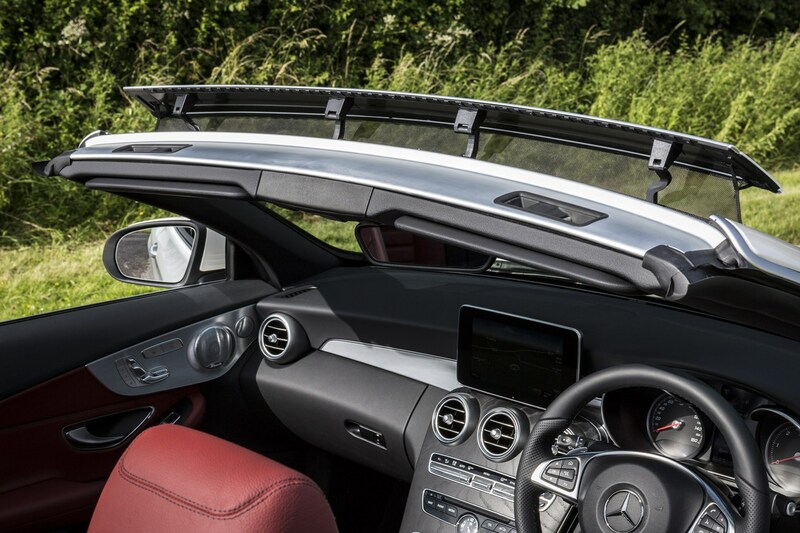 It’s a two-part device involving a spoiler which rises from the top edge of the windscreen and an air deflector behind the back seats that elevates. 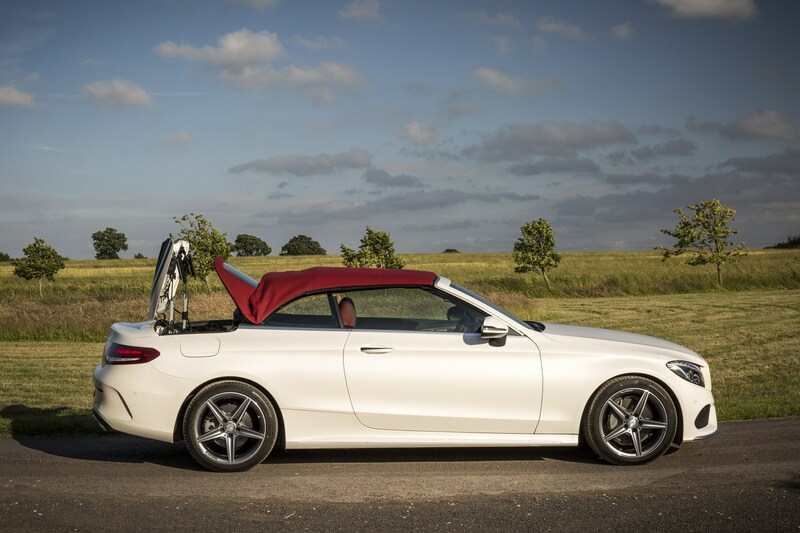 For those up front it’s very effective, an increase in wind noise being the penalty. 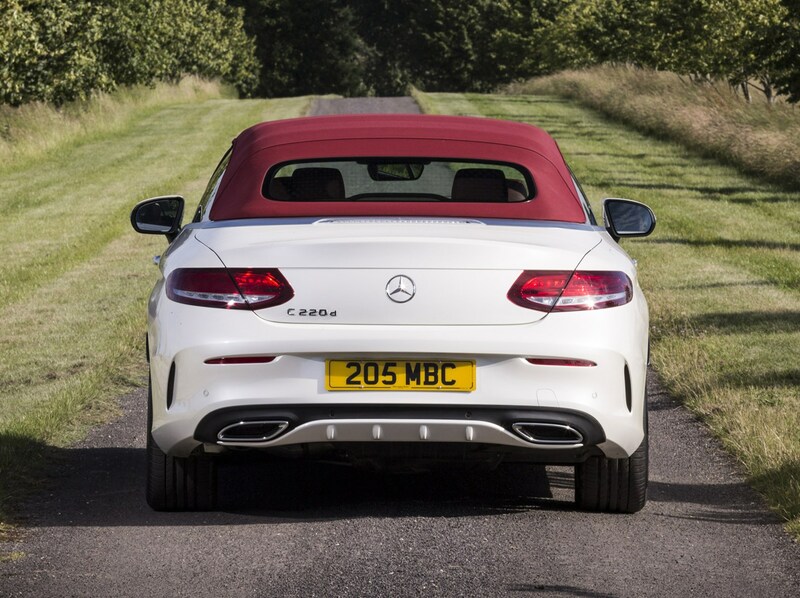 On the downside it’s an eyesore and benefits those in the rear negligibly. 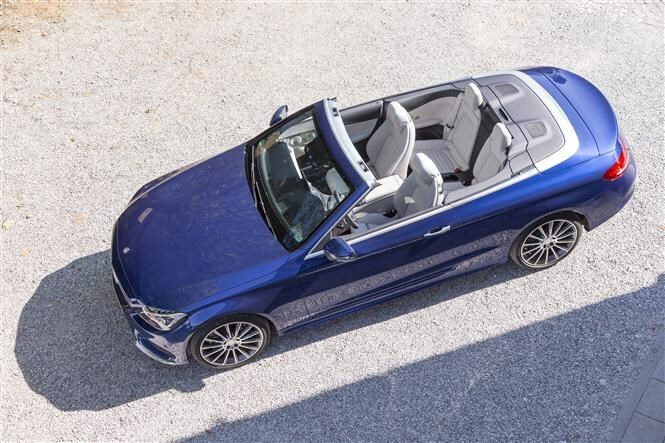 Pre-facelift models no longer on sale include the C 220 d and C 250 d powered by the venerable 2.1-litre engine in 170hp and 204hp guises. 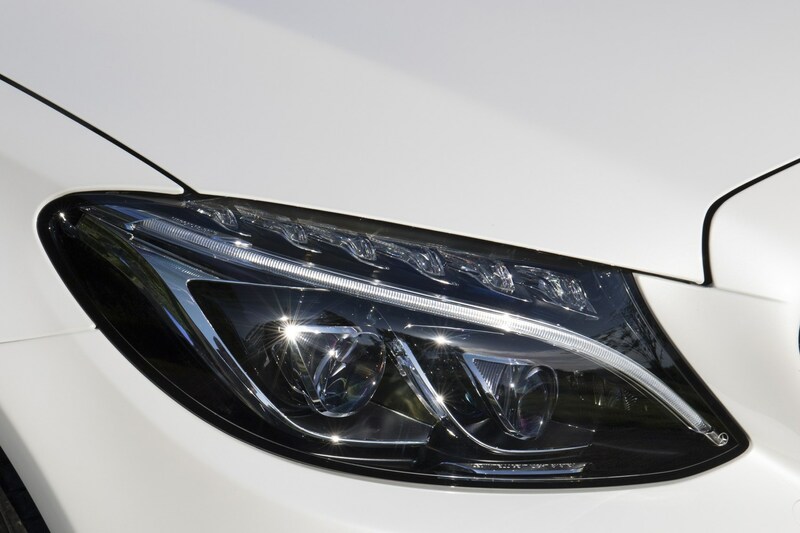 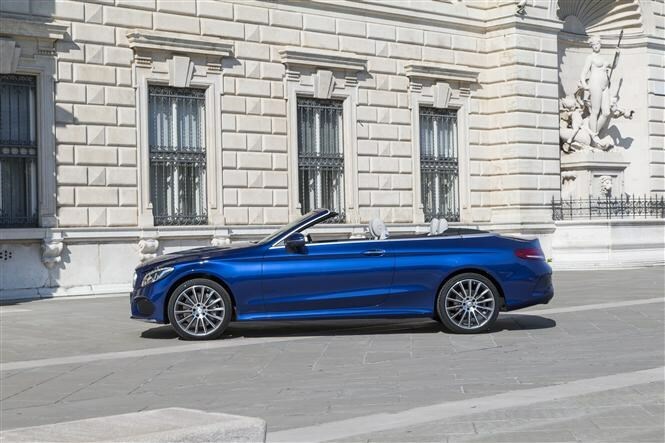 The new C 220 d is a 2.0-litre that develops 194hp. 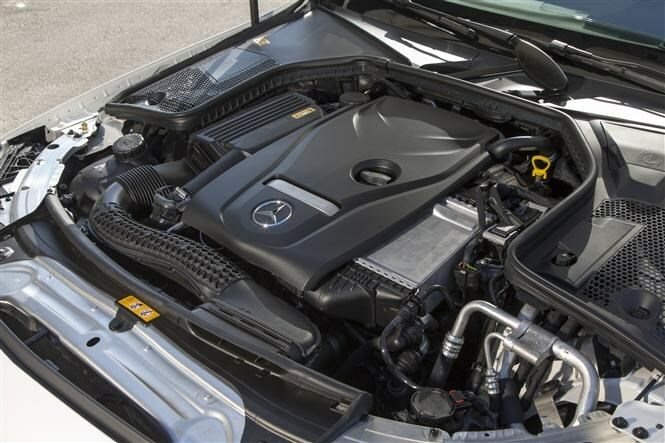 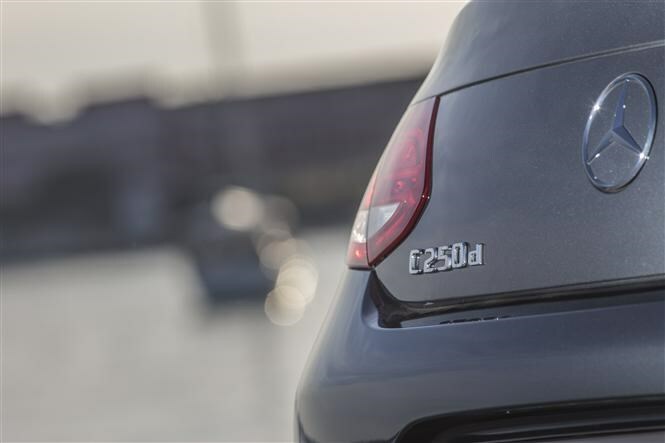 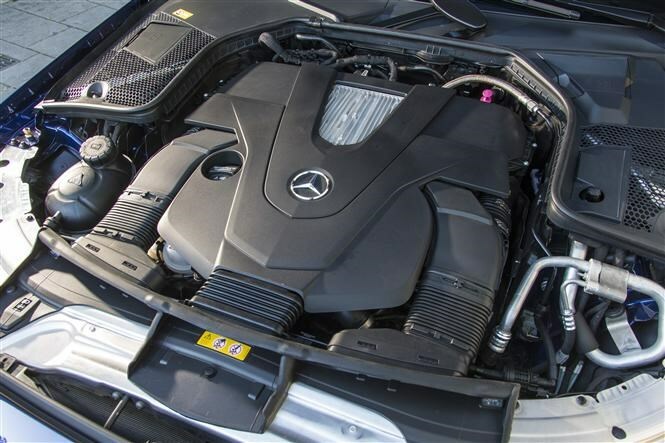 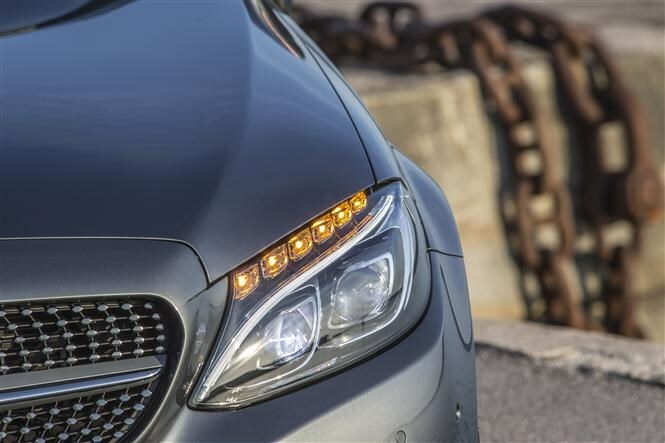 The old C 200 has also been superseded by a mild-hybrid featuring EQ Boost for 194hp, and the and C 300 remains, but its power has been upgraded from 245hp to 255hp. 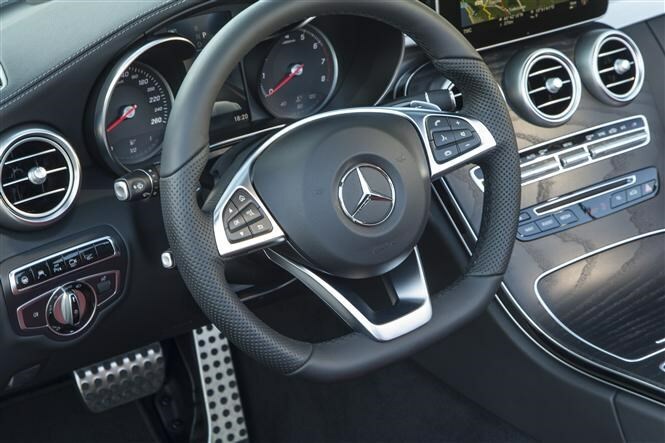 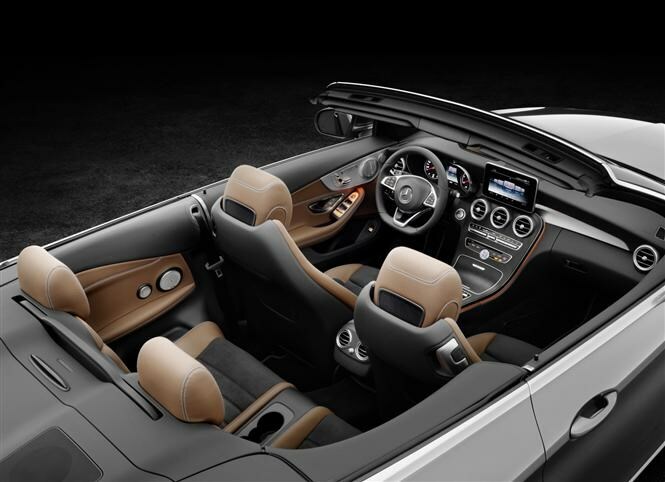 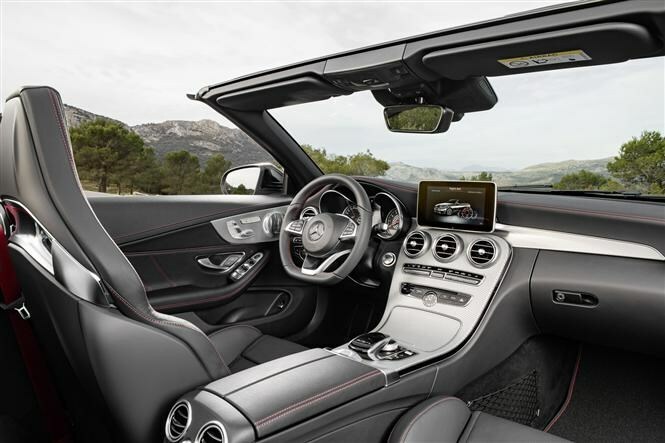 The Cabriolet is well built, employing high quality materials and offering similarly impressive ride and handling to the C-Class Coupe. 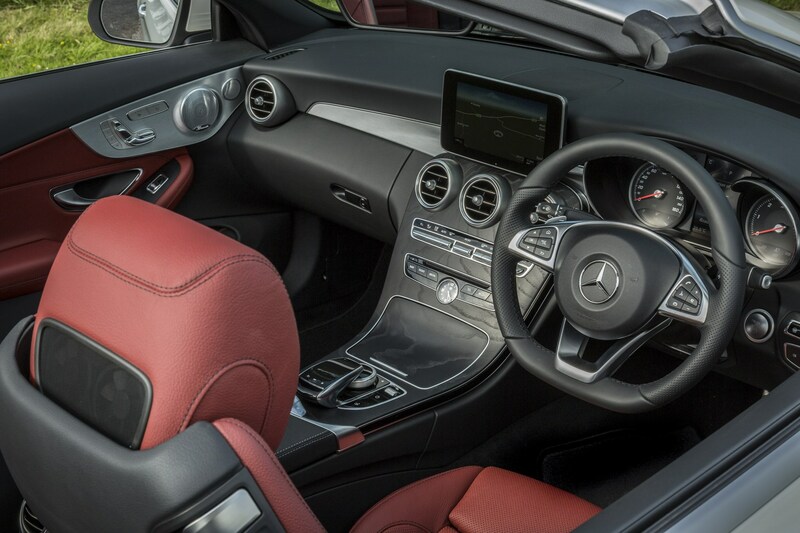 The Mercedes-AMG C 43 features even more equipment and a host of sporty touches to help justify its high prices. 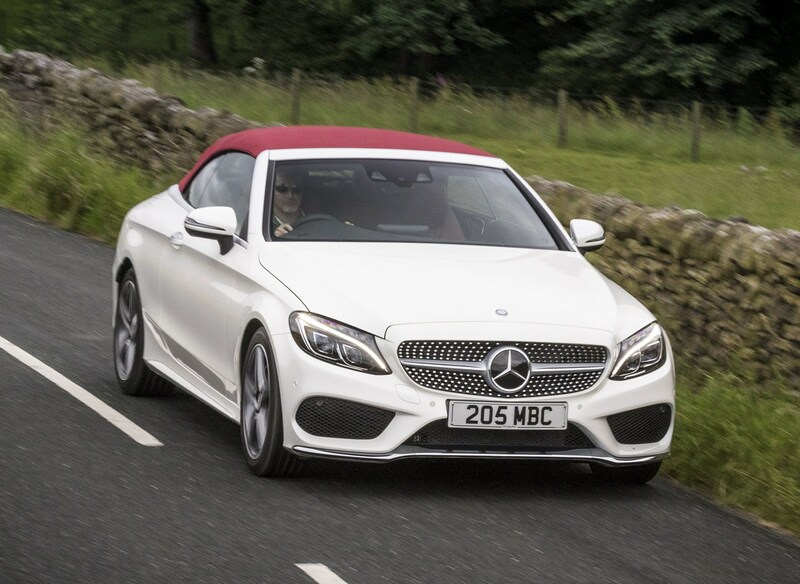 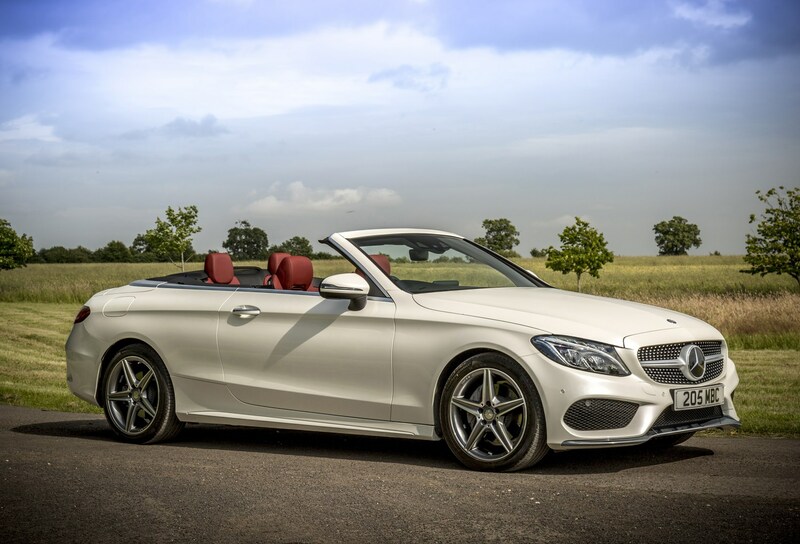 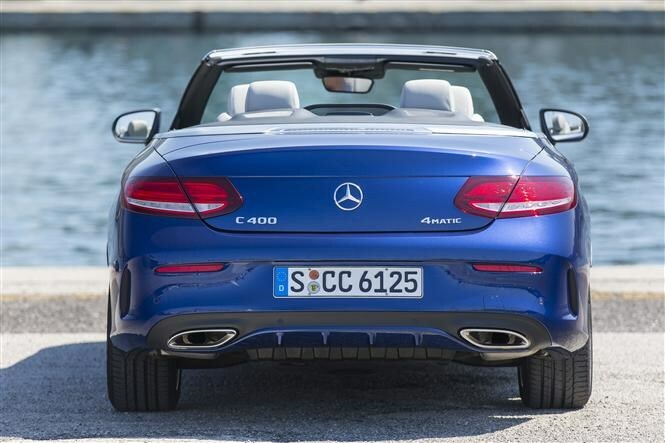 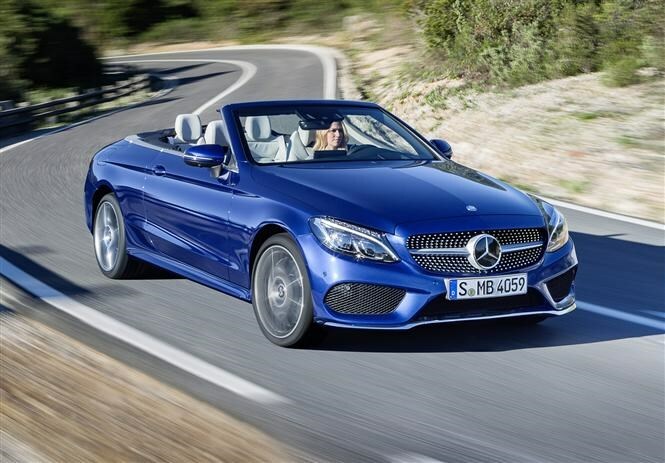 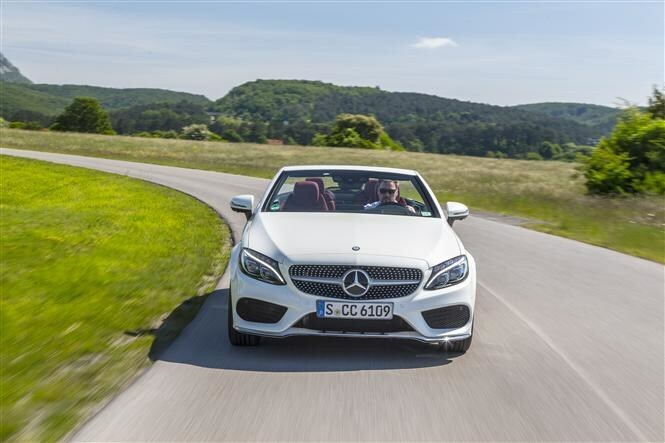 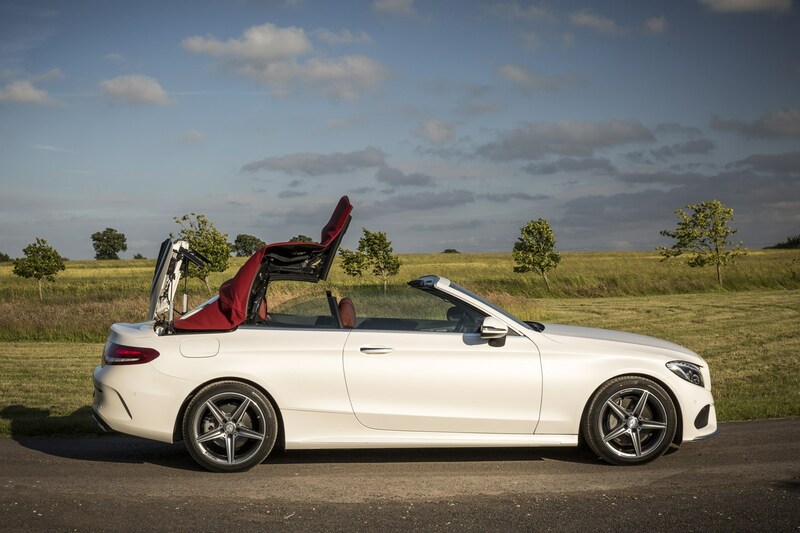 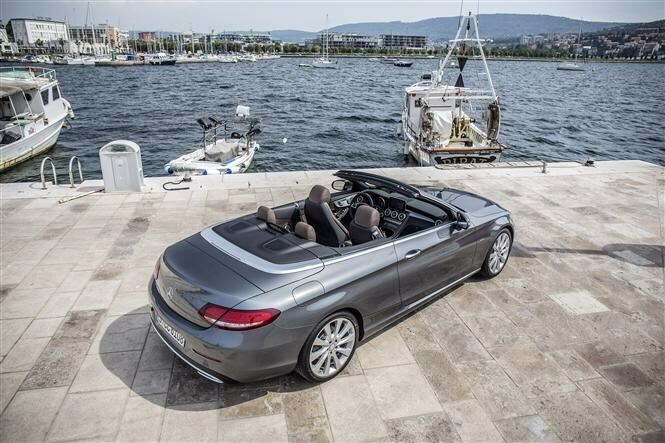 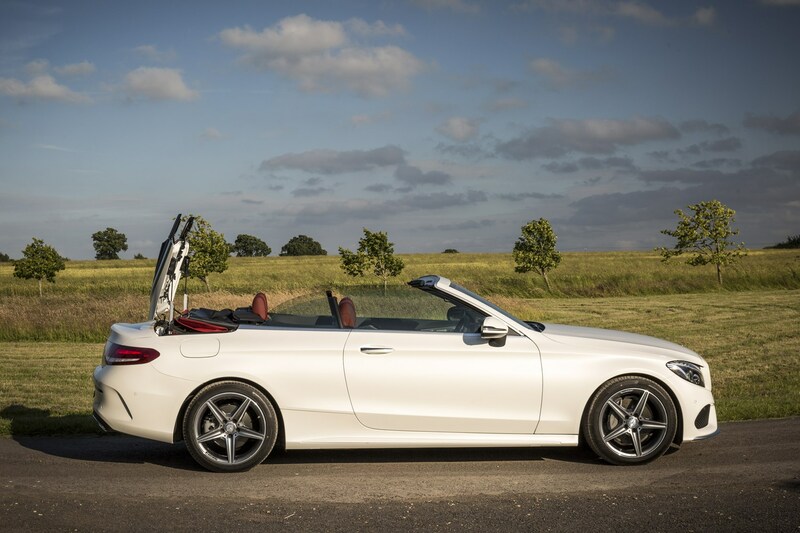 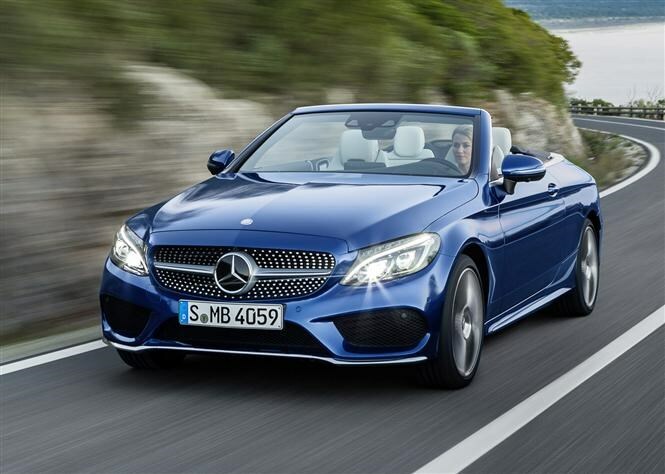 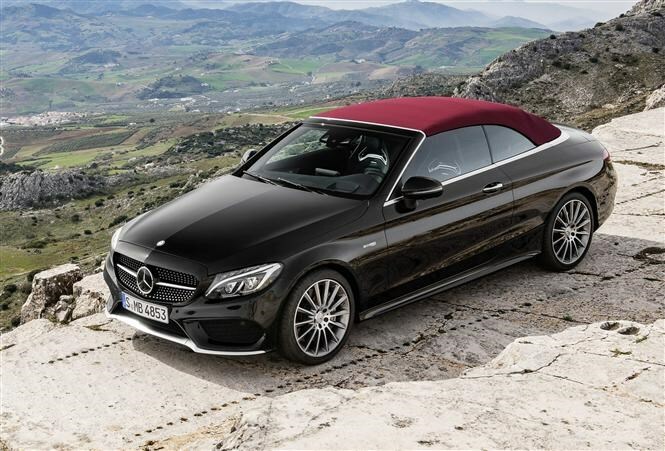 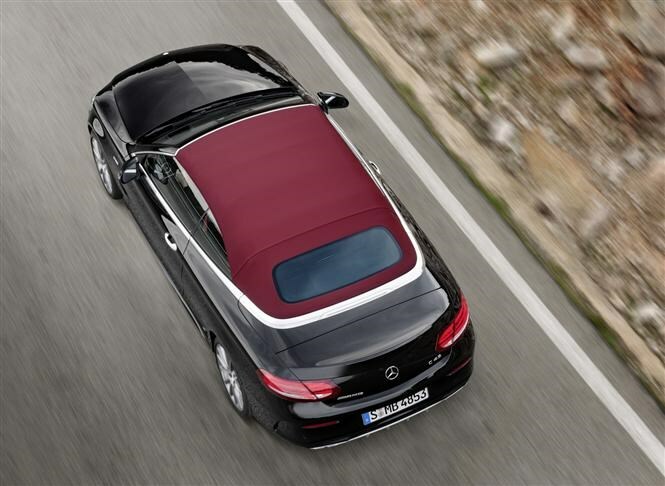 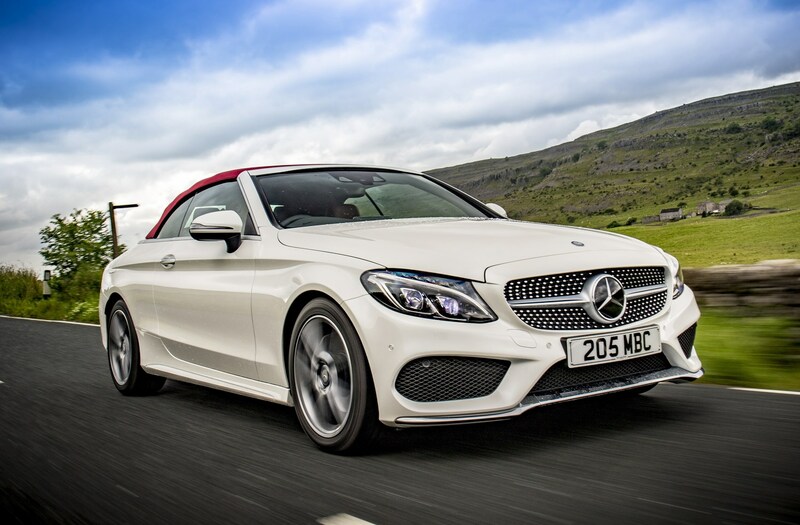 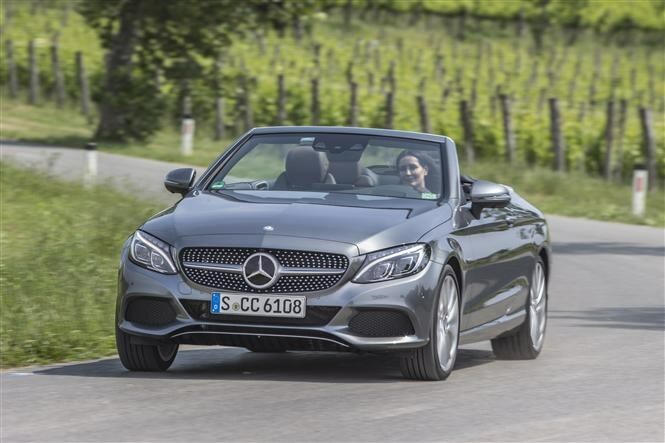 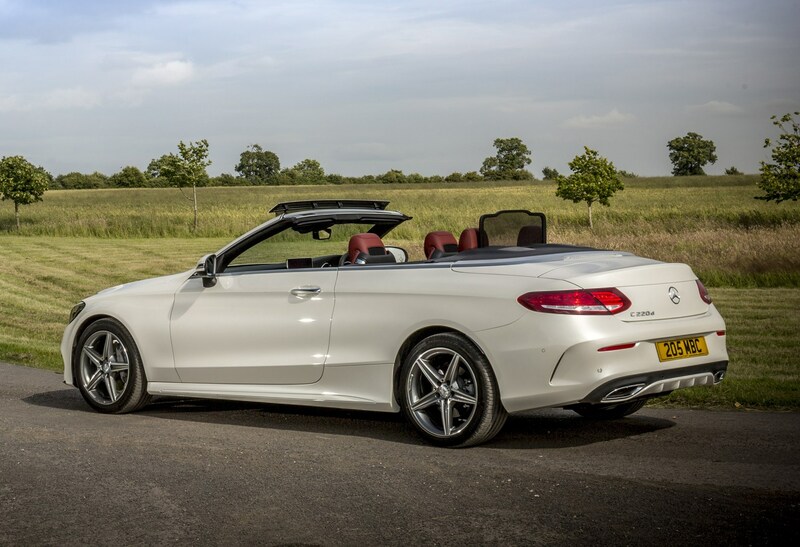 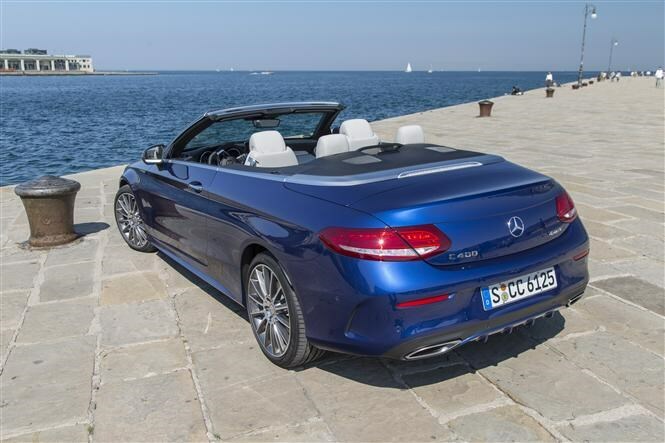 Read the full Mercedes-Benz C-Class Cabriolet review to find out how good this new soft-top is.